Ikea France and its top executives are under investigation for illegally gathering personal data on employees. Ikea's top executives in France are in hot water over a spying scandal. Ikea France and its CEO and CFO have been placed under formal investigation this week for allegedly collecting confidential personal data on staff, according to Marc Brisset-Foucault, a French prosecutor overseeing the case. The former CEO of Ikea France is also facing the same accusations, he said. The case centers on allegations that Ikea managers illegally gained access to private police records about its staff and job applicants, said Brisset-Foucault. Such records are strictly protected under the law. 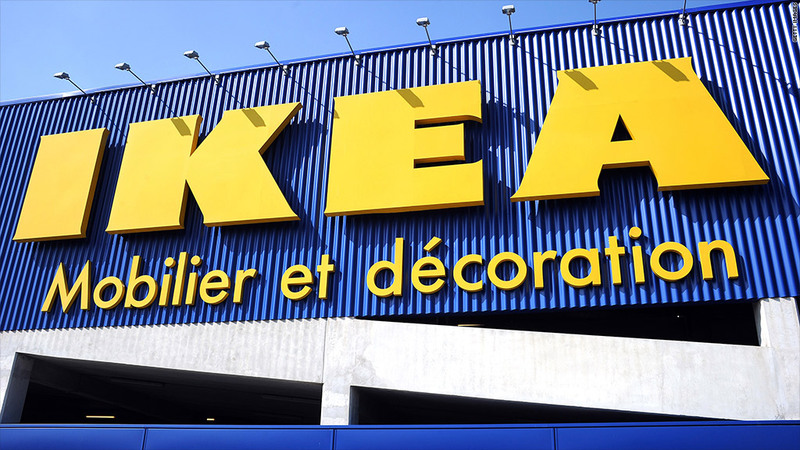 The launch of a formal investigation means Ikea France and its senior executives are one step short of being charged. Ikea France's CEO, Stefan Vanoverbeke, will fight the allegations, according to his attorney, Alexis Gublin. He has "always condemned these kinds of practices," said Gublin. Former CEO Jean-Louis Baillot's lawyer would not comment on the case. The lawyer for the CFO, Dariusz Rychert, could not immediately be reached for comment. According to Gublin, Ikea France was required to post a €500,000 bond in relation to the case. The investigation dates back to early 2012. It was launched after unions representing Ikea employees made a formal complaint about potential spying, said Brisset-Foucault. Since then the investigation has widened. The senior executives under investigation spent a night in jail this week while they were being questioned, said Brisset-Foucault. Many people have been called in for questioning and four police officers are also under investigation, he added. After the spying allegations emerged last year, Ikea announced that it had found some practices at its French unit that strayed from the company's values and ethical standards. As a result of its internal investigation, four Ikea employees were fired. The company also introduced a new code of conduct. In response to questions about the investigation launched by French authorities, Ikea sent CNN a statement that reads, in part, "Stefan Vanoverbeke, CEO of IKEA France and Dariusz Rychert, finance director, as well as the whole of IKEA France have my full support and confidence. IKEA has been cooperating with the investigation since the spring of 2012 and we hope that it will be concluded as soon as possible," said Roberto Monti, Ikea's director for South and East Europe. The main investigator on the case, Alain Gallaire, is collecting evidence to bring the case to trial. "It will be a very long investigation because there are thousands of Ikea employees," said Brisset-Foucault. If convicted of illegally collecting personal data, the executives could face up to five years in prison and a maximum fine of €300,000 each ($404,000), said Brisset-Foucault. They may also have to pay compensation to any individuals they are found to have spied on. Ikea, based in Sweden, employs 139,000 workers in 44 countries and generates over €27 billion ($36 billion) in annual revenue. It has 29 stores in France. -- CNN's Lilia Blaise and Sandrine Amiel in Paris contributed to this report.